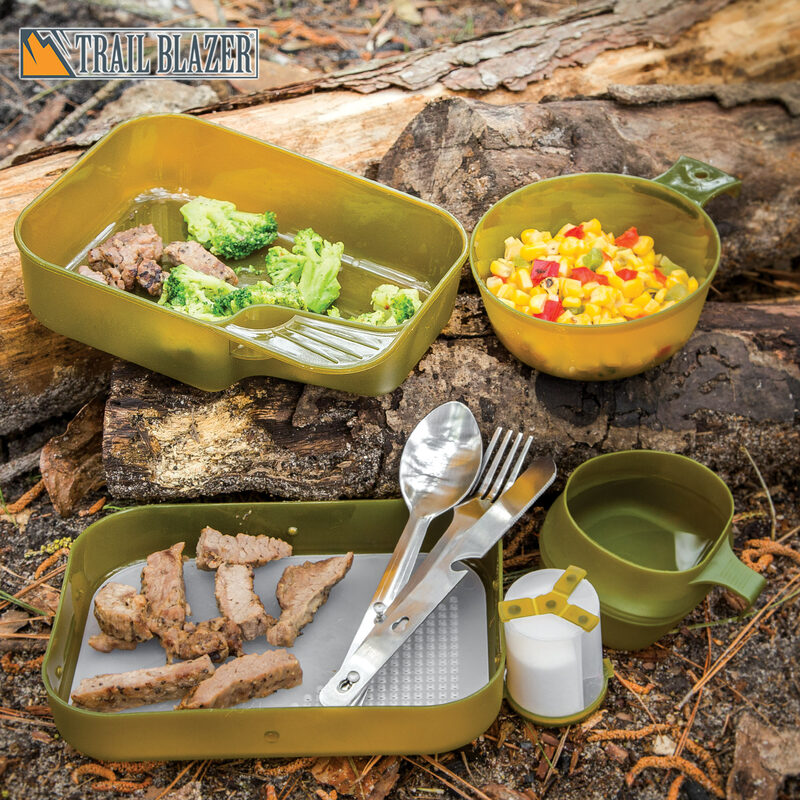 Trailblazer Mil-Spec Camper's Mess Kit | BUDK.com - Knives & Swords At The Lowest Prices! 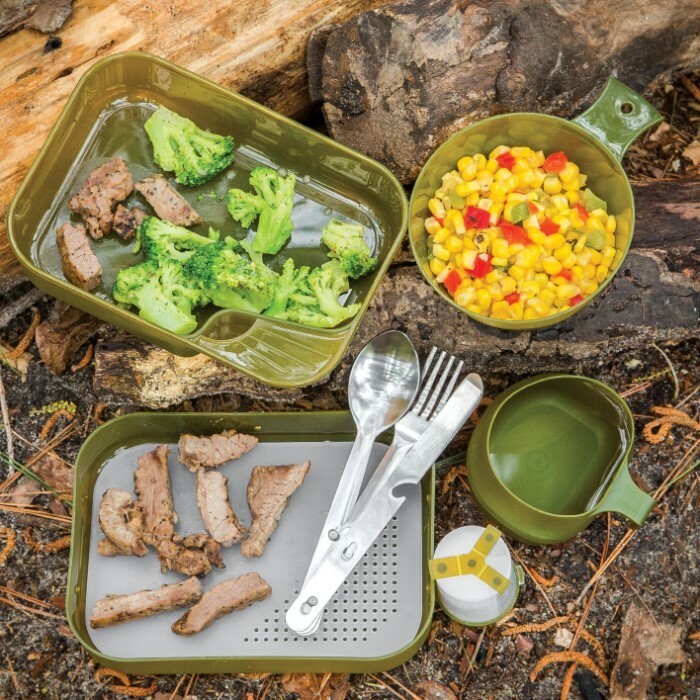 Feel like a soldier when you cook and eat with this military grade US Style Camper's Mess Kit. 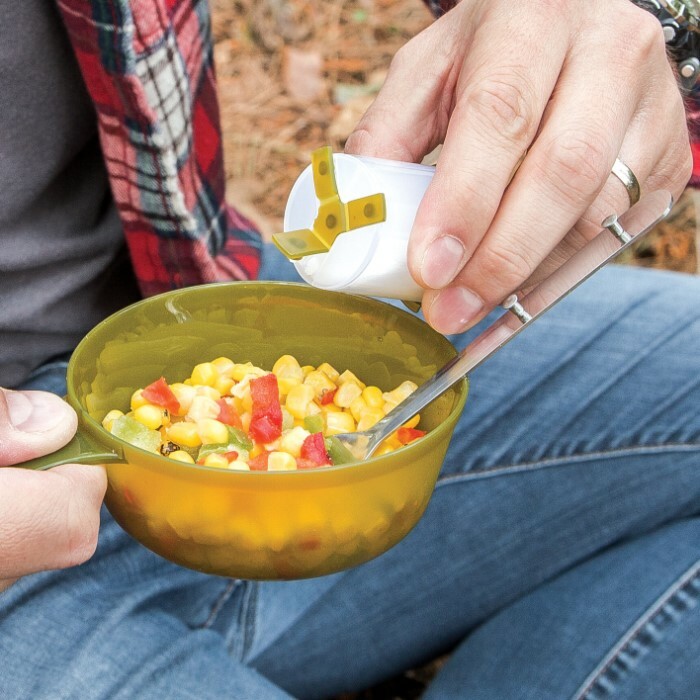 It's perfect for your next hiking, fishing, hunting, or camping trip. Comes neatly stored inside the flat oval-shaped kit. 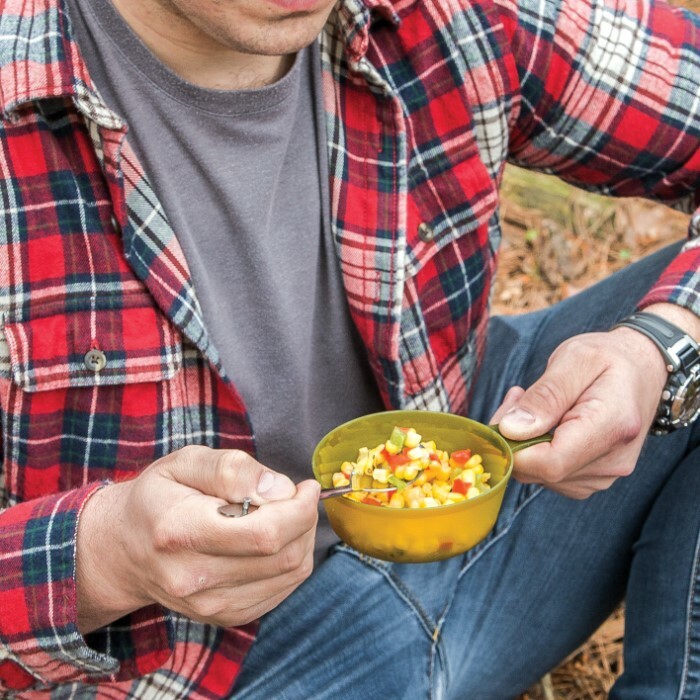 just to let you know this is not made to cook with it is everything you need to eat with. it is worth the money. get one! 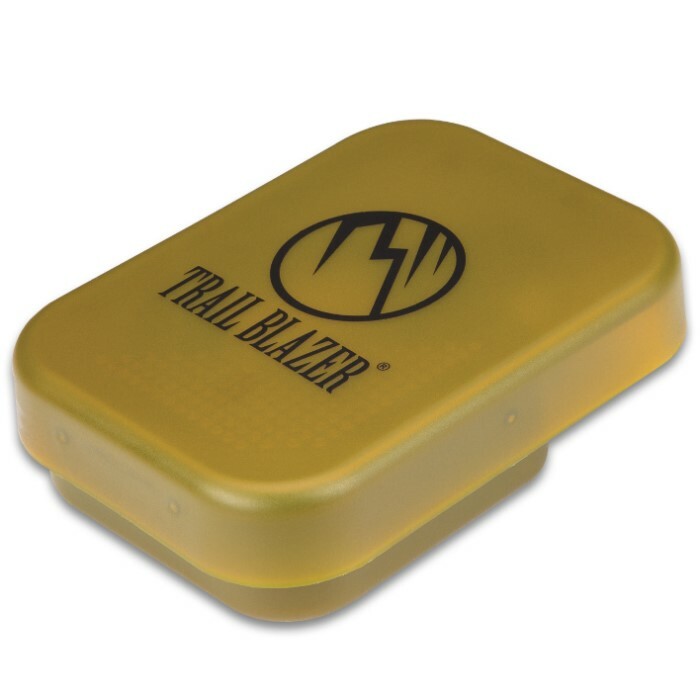 heck get one for everyone that likes to camp or hike it would make great gifts to give. Great price, small light weight. This chow kit is,in almost all respects,identical to the Swedish military surplus kits,except this one contains a handy stainless steel utensil set.This kit,obviously,is a lot less expensive than the surplus ones.The only flaw in the whole kit was the cutting board/strainer.It seems to be made of polyethelene plastic,not nylon as in the surplus ones,which is no detriment,and about half of the holes are plugged.You can open them up with a 3/32" bit.Having said all of that,this is a handy kit,and with a bit of work,you can save a bit of money.I like it.